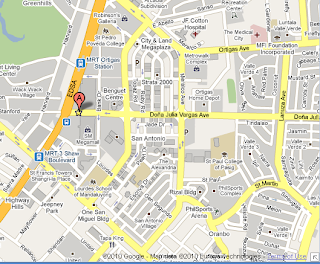 Its the widest building along EDSA between Shaw Boulevard and Ortigas Avenue. You won't miss it. The place looks cozy, like a TGI Friday's with the lights on! They have tables with sofas but these are almost always the first ones taken. The design of the logo and the restaurant itself reminds you of Chef Tony's Popcorn! Of course we found out while taking a look at the menu that it was indeed Chef Tony's Restaurant. More American than Cajun. Country and BBQ to be more precise. After our orders were taken, we were surprised with a plate of regular popcorn as appetizer. It is a Chef Tony's restaurant after all. 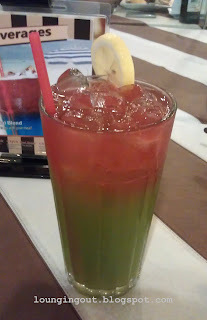 The picture of the Tony's Special Iced Tea (Php110) on the table menu was interesting because of the two colored liquid "mixture" so we just had to try it. It was a pleasure to find out it was not all about presentation, the iced tea was actually good, especially if you like a hint of vanilla in your tea. 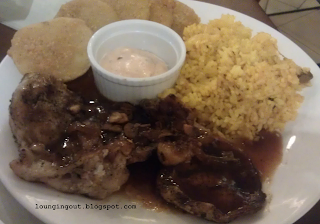 We tried Tony's Favorite Chops (Php275) with Crispy Mojos and Saffron Rice as side dishes. The chops were tender and cooked just right. The BBQ sauce tasted sweet and just right. The Crispy Mojos were actually made of sweet potatoes, and is quite different from your regular mojos. It is a little think for some of us but the it presented a new way of enjoying sweet potatoes. The Saffron Rice, was simply delicious, it goes well with the chops. 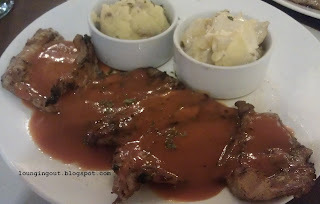 We also sampled their Bourbon Chops (Php320) with Baked Mashed Potato and Country Potato as side dishes. The sauce just gives a hint of Bourbon, not too much and goes well with the chops. The Baked Mashed Potato were good, it is made from real potato from what we figure as it still has some of the skin left. Not your usual powdered mashed potato from fast food joints. The country potato were cooked just right and goes well with its cream sauce. 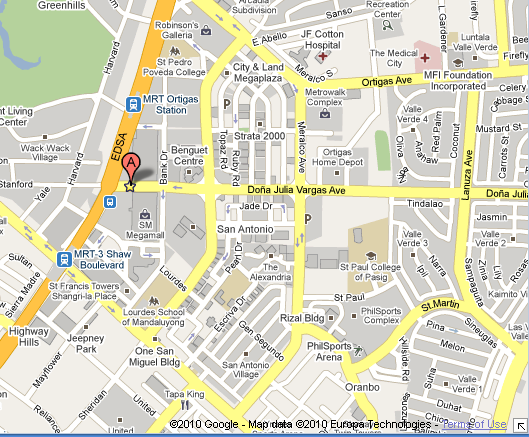 A budget of Php400 - Php500 should be enough to get a sample of some of the restaurant's specialty. Of course, if you order a full slab of Baby Back Ribs that would be a different matter altogether. Note: Menu prices are exclusive of VAT add 12%. No Service Charge. 5: Most of the food looked and tasted good, but the service when we were there was very slow. We were informed later that 2 of the wait staff were absent and so the 3 wait staff we saw running around were doing all the work. With a full wait staff this could be 6, could be, but for now we leave it as a 5. It is still worth trying out. If you like our reviews or have some recommendation, please feel free to drop us a note on the comments section.